According to The Director General of Lighthouses & Lightships. 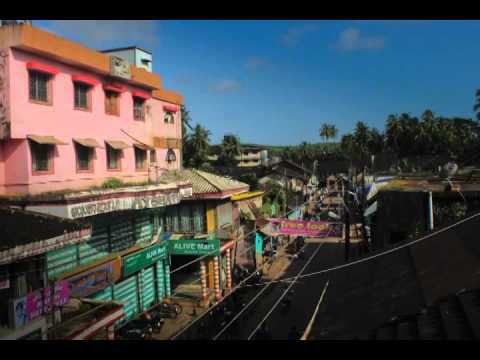 Bhatkal is an important port since Centuries. Bhatkal was port of Vijayanagar empire and an important trading centre of Horses. The muslim traders supplied horses to cavalries of different kingdoms in the region. The British moved in to the region towards the end of 18th century. The port is about 5 km West of Bhatkal Town.The Lighthouse stands by the side of ruins of a Fort on the summit of the hill overlooking the port at the entrance of Bhatkal creek. There is a concrete road up to the lighthouse. A mast was erected for hoisting lantern on this hill in the early 19th century, The first conventional lighthouse in 1891 was a stone masonry column on which a double wick lamp inside a lantern was placed. The light used to be exhibited during fair season only. In 1936 a white masonry tower was erected and a flashing light was installed. A storm warning signal mast was also erected at the site. During 1956–58 a new masonry Lighthouse Tower, Auxiliary Light Cabin and a Fog Signal baffle wall were constructed. The electrical Lighthouse equipment supplied by M/s B.B.T., Paris was installed. The main light, separate Auxiliary light and the fog signal were commissioned on 15th April 1959. The fog signal was discontinued in 1988. In March 1995 the emergency DA gas light source was replaced by flashing 12V 100 W Halogen lamp in a 300 mm optic installed outside the lantern house. The main light source was replaced by 230V 500 W Metal halide lamp on 21st March 1998.